1. 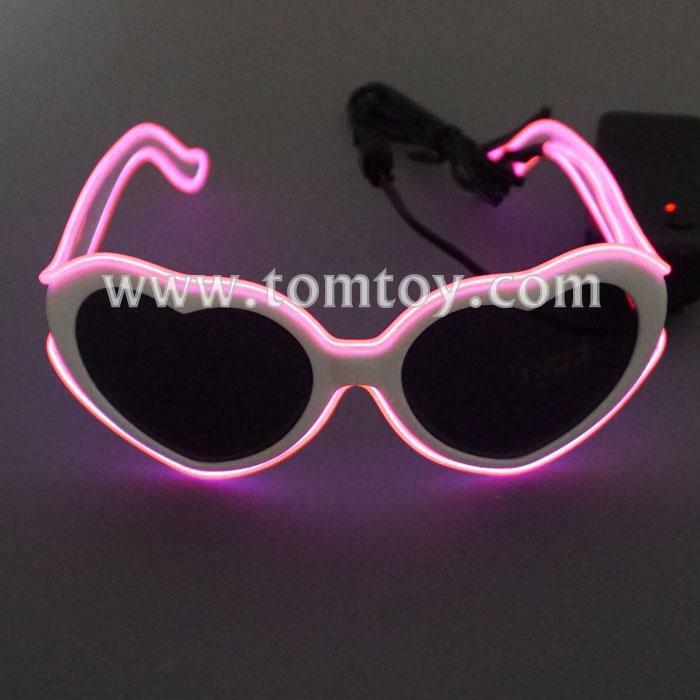 Heart Shape EL wire glasses come with a white frame and black lens, romantic and cool decoration glasses for valentines. 2. The lens has white, black and black transparent for your choice, it is UV400 protection. 3. 3 flash mode for you choice: fast flashing, slow flashing, steady light. 4. 2*AA batteries are included and installed, giving you 8-24 hours of light per set of batteries! 5. The battery pack can be put inside your pocket or clipped to your pants/shorts. EL Wire color: Red, Yellow, Orange, Transparent Blue, Blue, Pink, Purple, Fluorescent Green, Jade,and White.Any two of EL wire color can be combined.